ISLAMABAD, Sept 24 (APP): The appropriate trainings and guidance of fishermen on different aspects have resulted increase in seafood exports revenues which reached US $ 324 million during 2015-16. The trainings were aimed at reducing post-harvest losses on board fishing vessels and were imparted on hygiene, deckhand, navigational electronic equipment, HACCP, modern fishing techniques etc. Training of around 2,500 fishermen and fisheries related personnel on different aspects was arranged to bring high quality products which fetch higher price in market. Sources at Commerce Division while enumerating the steps taken by the government to enhance export of seafood products on Saturday said a model shrimp farm in District Thatta, Sindh has been established by Fisheries Development Board with funding from Export Development Fund (EDF) to enhance supply of raw material for seafood industry in Pakistan. 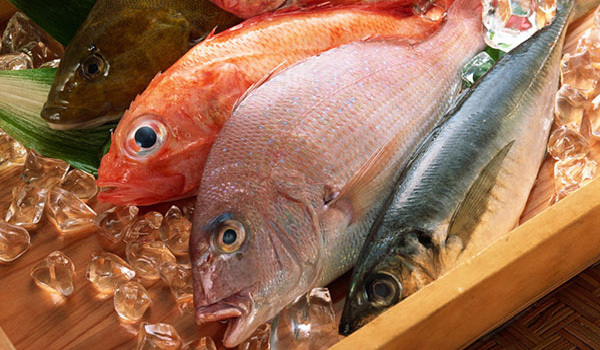 They said in order to enhance seafood exports and curb smuggling of seafood to Afghanistan and other countries from Peshawar, four new development projects are being implemented. These included establishment of Regional Office and Testing Laboratory of Marine Fisheries Department at Peshawar, establishment of Regional Office & Testing laboratories of Marine Fisheries Department at Gwadar, upgradation and Accreditation of Quality Control Laboratories for Environmental Contamination and reactivation of Hatchery Complex for Production of Fish and Shrimp Seeds. The sources said under Strategic Trade Policy Framework (STPF) 2015-18, matching grant of upto a maximum of Rs. 5 million for specified plant and machinery or specified items is provided to improve product design and encourage innovation in Small and Medium Enterprises (SMEs) and export sectors of leather, pharmaceutical and fisheries. The EDF Board also approved Rs. 96 million for establishment of Pen Feh farm of sea bass and groupers along coastal belt of Sindh. The sources said after a period of about six years, the European Union (EU) allowed resumption of export of Fish & Fishery products from Pakistan to EU countries. It may be recalled that the fish processing plants were de-listed by EU. Two fish processing plants have been enlisted by EU and case of enlistment of five more processing plants is in process with EU. They said to meet requirement of EU and other importing countries, two laboratories (i.e. Microbiology & Chemical) have been accredited from Pakistan National Accreditation Council. Moreover, the sources said to meet the requirement of EU and other importing countries, 2,000 fishing boats have been modified which is a success story for Pakistan. The other initiative was that pursuant to requirement of EU and other importing countries, on Hazard Analysis & Critical Control Points (HACCP), guidelines have been prepared and distributed to 137 fish exporters/processors to ensure quality of seafood.